Dr. Duboys assisted with this procedure that was featured on Fox 5 News. Click here to view the video! Dr. Duboys was featured in a CBS News film segment. Click here to view the video! 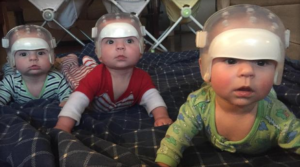 “…That is why choreographing every step in advance was vital, said Dr. Elliot Duboys, associate professor of surgery at Stony Brook School of Medicine and baby Vincent’s other surgeon. Duboys said an infant’s skull has several plates, or sections of bone that are separated by fibrous tissue called “sutures.” As the child ages, the sutures close and the skull becomes fully formed as a solid piece of bone. Associated Plastic Surgeons & Consultants, PC now offering EndyMed 3-DEEP technology to help tighten skin and fight the signs of aging. Dr. Elliot Duboys, a Board Certified Plastic Surgeon at Associated Plastic Surgeons & Consultants, PC and Medical Director of Cactus MedSpa is proud to announce the integration of The Pro by EndyMed, an FDA approved system into his New York cosmetic surgical practice. Dr. Duboys is one of the first cosmetic surgeons in Long Island to offer The PRO by EndyMed, the latest generation in radio frequency skin tightening and body contouring. The PRO offers 3-DEEP technology that reduces the appearance of wrinkles, tightens skin, minimizes cellulite, and contours various areas of the body, (face, arms, abdomen, flanks, back, buttocks and thighs, etc). 3-DEEP Technology is the most effective way available today to tighten skin and fight the visible signs of aging. Treatments with The PRO is a true “Lunch-Time” procedure, as it is noninvasive, painless with no downtime. Following a treatment, the patient can apply make-up and return to work with little more than a transient “blush.” EndyMed 3-DEEP is suitable for all skin types and colors and is fully customizable depending on each individual’s particular needs and desires. Another added benefit is that these treatments may be used in conjunction with other cosmetic procedures to ensure improved and complimentary results. The EndyMed 3-DEEP system works by delivering radio frequency (RF) energy to multiple layers of tissue for targeted and controlled treatments. With each consecutive treatment, individuals see both an immediate visible improvement to their skin as well as a continued improvement that continues long after the treatment series. In other words, treatment results become progressively better over time. The best results are obtained with a series of treatments over the course of a 6-week period. Dr. Elliot Duboys focuses on helping his patients improve their body image and self-esteem utilizing a variety of invasive and non-invasive cosmetic treatments and procedures. The addition of The Pro by EndyMed to his practice will allow, Dr. Duboys to provide optimal results for his patients without having to go “under the knife”. Associated Plastic Surgeons & Consultants, PC and Cactus MedSpa are looking forward to bringing this new revolutionary technology and treatment to people seeking non-invasive rejuvenation in the Long Island, and the Greater New York Metropolitan area. 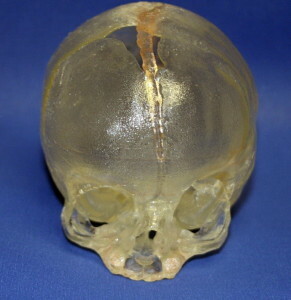 A team of surgeons at Stony Brook University led by Dr. Michael Egnor, Professor of Neurosurgery and Dr Elliot Duboys, Associate Professor of Plastic Surgery have successfully remodeled the skull of a 6 month old infant assisted by computerized virtual surgery and 3-D modeling. The baby was born with a rare congenital deformity known as plagiocephaly in which one of the growth plates of the skull fuses prematurely resulting in a flattened forehead, prominence of the opposite forehead as well as orbital asymmetry. The surgery was performed successfully using the models as guides. The length of the procedure was shortened significantly because of the preoperative virtual surgical planning. Post-operatively the child has done extremely well. Dr. Elliot Duboys, a board certified plastic surgeon since 1985, has provided top quality, personalized care to his patients for more than 30 years. He specializes in Cosmetic, Pediatric and Reconstructive Plastic Surgery. In addition, Dr. Duboys is a member of many prestigious organizations including the American Society of Plastic & Reconstructive Surgeons, multiple local and regional Plastic Surgical Associations, and the American Cleft and Craniofacial Association. He is the co-founder of the Stony Brook University Hospital cleft and craniofacial team which he headed for 22 years. Dr Duboys has been named to the Castle Connolly Guide to the Best Plastic Surgeons in New York since 1997 and has made the list of Newsday’s top 10 Plastic Surgeons since 2010. Dr. Michael Egnor is a board certified pediatric neurosurgeon and professor and vice-chairman of the Department of Neurosurgery at the State University of New York at Stony Brook. He has practiced at Stony Brook Medical Center for 23 years, and collaborates with Dr. Duboys on the management of children with craniofacial disorders. He conducts extensive research on brain blood flow and cerebrospinal fluid flow. Dr. Elliot Duboys on Arise TV discusses the latest in 3D printing as relates to Craniofacial Surgery. Discussion on 3dpi.tv about 3-D Planning and Printing for craniofacial surgery and the correction of plagiocephaly. Dr. Elliot Duboys, MD, FACS, a board certified plastic surgeon, and head of Associated Plastic Surgeons & Consultants, PC of Huntington, New York, recently completed a ten day medical mission with a surgical team to Siargo, Philippines. Dr. Duboys was co-director of the Cleft and Craniofacial team at SUNY Stonybrook for over 22 years. During the 10 day trip, he and a team operated on over 115 children with congenital deformities such as cleft lip and palate. Dr. Duboys, a passionate humanitarian, has participated in f international surgical missions providing free surgery to those in need for over 20 years. He has completed a total of 18 missions, including Guatemala, Honduras, Columbia, Philippines, Ecuador and Haiti and Zambia. Counting these experiences as the most gratifying of his life’s work, Dr. Duboys plans to continue promoting his missions as he travels across the continents. By providing care and establishing long term medical solutions within communities, Dr. Duboys and his group are able to provide free corrective surgery in a safe environment for children around the world who are suffering from a cleft lip or palate and associated craniofacial deformities. Dr. Elliot Duboys, a board certified plastic surgeon since 1985, has provided top quality, personalized care to his patients for more than 30 years. He specializes in Cosmetic, Pediatric and Reconstructive Plastic Surgery. In addition, Dr. Duboys is a member of many prestigious organizations including the American Society of Plastic & Reconstructive Surgeons, the American Burn Association, multiple local and regional Plastic Surgical Associations, and the American Cleft and Craniofacial Association. He has been named to the Castle Connolly Guide to the Best Plastic Surgeons in New York since 1997 and has made the list of Newsday’s Top 10 Plastic Surgeons since 2010.